Do You Know Whether Your Judge Uses an iPad or Tablet? Find Out Before You Submit Your Next Brief. ≈ Comments Off on Do You Know Whether Your Judge Uses an iPad or Tablet? Find Out Before You Submit Your Next Brief. ‘Know your audience’ is a fundamental rule of skillful writing. For lawyers writing briefs in the 21st century, a key part of knowing your judicial audience is knowing what device will display your brief. While some judges print briefs and read the hard copy, a quiet revolution is occurring: more and more judges are reading briefs primarily on iPads or other tablets. According to experts on legal writing, this change in reading should trigger a similarly significant change in writing. Recent Rule Amendments by Arizona Supreme Court. ≈ Comments Off on Recent Rule Amendments by Arizona Supreme Court. In addition to adding the new mechanism to ER 1.15, the Supreme Court also recently made other significant ethics and practice-related rule amendments. Texas Federal Court Holds That Intrastate Truck Drivers Are Eligible for Overtime. ≈ Comments Off on Texas Federal Court Holds That Intrastate Truck Drivers Are Eligible for Overtime. In Butcher v. TSWS d/b/a Pot-O-Gold, (S.D. Tex. August 25, 2011), the Southern District of Texas denied an employer’s motion for summary judgment in a case involving FLSA overtime claims brought by truck drivers. The employer argued that the plaintiffs were subject to the FLSA’s motor carrier exemption (which would mean that the drivers were not entitled to overtime pay) because the plaintiffs work affected the safety of interstate transportation. Although the plaintiffs never crossed state lines in driving their trucks for the defendant, the company claimed that the employees could have been called upon to drive interstate at any time. The court acknowledged that under Songer v. Dillon Resources, 618 F.3d 467 (5th Cir. 2010), an intrastate driver may be exempt during periods when the driver ‘could have been called upon’ to drive interstate at any time. The court acknowledged that under Songer v. Dillon Resources, 618 F.3d 467 (5th Cir. 2010), an intrastate driver may be exempt during periods when the driver “could have been called upon” to drive interstate. FDA Documents Reveal Its Inadequate Response to High Risk Antibiotics in Livestock. ≈ Comments Off on FDA Documents Reveal Its Inadequate Response to High Risk Antibiotics in Livestock. A U.S. Food and Drug Administration review of 30 antibiotics used in livestock found that more than half posed a significant risk of exposing humans to antibiotic-resistant bacteria. Despite the review, which occurred from 2001 to 2010, the federal agency allowed the drugs—used as additives in animal feed and water—to remain on the market, according to a report released on Monday by the Natural Resources Defense Council, an environmental group that based its findings on internal documents obtained under the Freedom of Information Act. Court Splits on Negligent Infliction of Emotional Distress. ≈ Comments Off on Court Splits on Negligent Infliction of Emotional Distress. The recent December 22, 2011 split decision by the Pennsylvania Supreme Court in the long-anticipated Opinion in the case of Toney v. Chester County Hospital, 2011 WL 6413948 (Pa. Dec. 22, 2011)(Baer, Todd, and McCaffery, JJ. join in support of affirmance)(Castille, Saylor, Eakin, JJ. join in support of reversal)(Orie Melvin, J. not participating) serves to fuel an argument in favor of the extension of the tort of negligent infliction of emotional distress (NIED). Excellent Case on Document Retention Policies and Litigation Holds. ≈ Comments Off on Excellent Case on Document Retention Policies and Litigation Holds. There is no doubt that it’s a litigator’s job to realistically assess the case and, when the situation demands it, to deliver bad news to the client. How that assessment is crafted and communicated, however, is where the care comes in. 2014 Amendments to Oklahoma’s Workers’ Compensation Court Rules. ≈ Comments Off on 2014 Amendments to Oklahoma’s Workers’ Compensation Court Rules. In Re Court Rules Of The Workers’ Compensation Court, 2014 OK 2, Decided January 16, 2014, Corrected January 17, 2014, published by the Supreme Court of the State of Oklahoma. The Court Rules of the Workers’ Compensation Court as amended and approved by that Court on December 20, 2013, having been submitted to this Court for its consideration, are hereby approved. The rules are for official publication and shall become effective on January 31, 2014. The rules as amended shall be published in the Oklahoma Bar Journal three times. By today’s adoption of these rules, submitted by the Workers’ Compensation Court, this Court neither indicates what meaning should be ascribed to them in any given application nor settles their validity against challenges that may be launched on constitutional or statutory grounds, federal or state. Writing Well When In A Crunch. ≈ Comments Off on Writing Well When In A Crunch. The High Cost of Legal Services – Are More Paralegals An Answer? ≈ Comments Off on The High Cost of Legal Services – Are More Paralegals An Answer? The majority of lawyers in my part of the world aggressively use experienced paralegals and legal assistants to provide lower costs and quality work for their clients. It is simple math. It cuts costs for clients and increases profits for the lawyers. It is a win-win. Yet, there is no dispute that legal fees, which include criminal fines and filing fees, depositions, discovery, and e-discovery expenses, can drive up a client’s bill in a hurry. In our country, lawyers and judges regulate their own markets. The upshot is that getting legal help is enormously expensive and out of reach for the vast majority of Americans. Anyone faced with a contract dispute, family crisis, foreclosure or eviction must pay a lawyer with a JD degree to provide service one-on-one in the same way lawyers have done business for hundreds of years. Increasingly, the only ‘persons’ with access to legal help are “artificial persons” — corporations, organizations and governments. No wonder that in a 2010 New York study, it was shown 95% of people in housing court are unrepresented. The same is true in consumer credit and child support cases; 44% of people in foreclosures are representing themselves—against a well-represented bank, no small number of whom engaged in robo-signing and sued people based on faulty information. Legal Writers, This Blog Is For You. 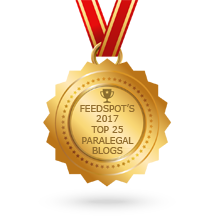 ≈ Comments Off on Legal Writers, This Blog Is For You. If you have any interest in the fine points of legal citation and legal writing, this is the blog for you. Citation master, Peter Martin, who holds an endowed chair named for the late Jane M.G. Foster Professor of Law Emeritus at Cornell, has created a forum to discuss and elaborate on citations as they are used by counsel and the court. Second Circuit Denies Officers’ Qualified Immunity. ≈ Comments Off on Second Circuit Denies Officers’ Qualified Immunity. When law enforcement execute a search warrant on a residence, officers can use the “knock and announce” rule. Police knock on the door, announce their intent to enter, and wait a “reasonable time” for the resident to open the door. Obviously, this approach has its drawbacks. Officers’ announcement of their presence before entering the residence can cause possible destruction of evidence and/or endanger the officers or others. Law enforcement has another option – the “no knock” rule, which is just what it sounds like. Officers can obtain a search warrant to enter without knocking and announcing their presence or intentions before entering the residence. To obtain a no-knock warrant, the officers need to prove to the judge issuing the warrant that the officers are not disregarding reliable information indicating that this type of use of force is inappropriate. When procedures are properly followed, the involved officers have qualified immunity if the homeowner later sues for damages or excessive use of force under the Fourth Amendment. An immunity defense is premature for the drug investigator who led a turbulent raid on the apartment of a family with no criminal history, the 2nd Circuit ruled. Michael Riley, an investigator for the Rensselaer County Drug & Gang Task Force, obtained the warrant days earlier based on the word of a confidential informant. Though the CI claimed to have bought crack-cocaine from a man named Sport at the apartment, Riley conducted a background check on the property that revealed McColley as the tenant with her spotless record and young child. He applied for the no-knock warrant anyway without mentioning the background check, the two-judge majority found. Accused of violating McColley’s Fourth Amendment rights, Rensaleer and Riley claimed qualified immunity, but U.S. District Judge Lawrence Kahn denied them summary judgment. When Do You File An Appeal? Mr. Ward raises an interesting point. An appeal cannot be filed until the court issues a final, appealable order. In many jurisdictions, the trial court’s journal entry or judgment on the merits of the all the causes of action in a case is indeed a final, appealable order, even when the court has not yet ruled on an attorney fee and cost award. Experienced Malware Attacks On Chrome Extensions? You’re Not The Only One. ≈ Comments Off on Experienced Malware Attacks On Chrome Extensions? You’re Not The Only One. March 2014 Deadline for Federal Contract Compliance Program’s Revised Rules. ≈ Comments Off on March 2014 Deadline for Federal Contract Compliance Program’s Revised Rules. The Office of Federal Contract Compliance Program’s revised rules for veterans and individuals with disabilities take effect March 24, 2014. In addition to goal-setting/benchmarking and increased attention to good faith efforts, the rules will require federal contractors to deploy a number of new or revised forms. The forms include applicant and new hire invitations to self-identify, mandatory elements of job posting communications with the state job service, and new elements of the EEO job advertisement tagline. Certain of these documents will be required beginning on March 24, 2014, and use of others can be delayed until the first date of your next affirmative action plan year. IRS Service Is Going From Bad To Worse. ≈ Comments Off on IRS Service Is Going From Bad To Worse. [G]iven its limited resources, the IRS said that in 2014 it will stop preparing tax returns for people who need help, such as those who are elderly or disabled. The agency also plans to answer only “basic” tax law questions, and only during the normal filing season through April 15. Instead, it will direct people to the website and other automated sources of information. . . .
North Carolina’s “Woman’s Right to Know Act” Unconstitutional Under First Amendment. ≈ Comments Off on North Carolina’s “Woman’s Right to Know Act” Unconstitutional Under First Amendment. In her opinion in Stuart v. Loomis, United States District Judge Catherine Eagles held the ‘speech and display’ provisions of North Carolina’s ‘The Woman’s Right to Know Act’ unconstitutional under the First Amendment. . . .
Will Using Electronic Health Records Affect Your Privacy? ≈ Comments Off on Will Using Electronic Health Records Affect Your Privacy? For more information, go to http://www.hhs.gov/ocr/privacy/. Your health care provider may be moving from paper records to electronic health records (EHRs) or may be using EHRs already. EHRs allow providers to use information more effectively to improve the quality and efficiency of your care, but EHRs will not change the privacy protections or security safeguards that apply to your health information. LinkedIn’s Lawsuit Alerts Users To Be Pickier Accepting Invitations. ≈ Comments Off on LinkedIn’s Lawsuit Alerts Users To Be Pickier Accepting Invitations. [I]t’s not immediately clear if LinkedIn has a clear-cut legal case since it is not necessarily illegal to copy information from a website. In its complaint, the company is relying on its own terms of services that forbid scraping as well as the Computer Fraud and Abuse Act and the Digital Millenium Copyright Act. In the meantime, LinkedIn users may wish to be wary about which invitations to connect they accept.